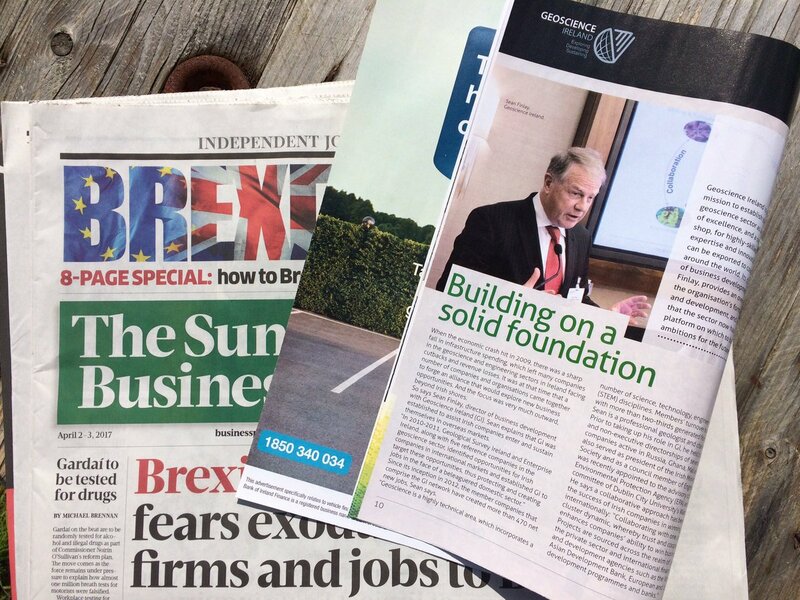 Geoscience Ireland (GI) is featured in this week’s Sunday Business Post supplement. The feature interviews GI director Sean Finlay who details the clusters approach to winning business in export markets. The piece also includes Minister Kyne’s ambition to fully support Ireland’s natural resources sector and promote Ireland as a centre of geoscientific excellence.